Description EPA 24 MPG Hwy/21 MPG City! XLS trim. 4x4, CD Player, KBB.com explains "A sturdy and proven vehicle.". 4 Star Driver Front Crash Rating. SEE MORE! 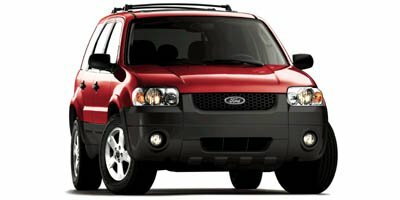 "Since its introduction, the Ford Escape has been one of America's best-selling small SUVs." - Edmunds. "The Escape's small dimensions make it easy to park and maneuver, while the large side-glass panels permit a nearly unobstructed view for both driver and passengers." -- Kelley Blue Book. Great Gas Mileage: 24 MPG Hwy.